It’s been nearly 2 weeks since the start of the NBA season and the Wizards were off to a hot start. The Wizards took down the 76ers, the Pistons and the Nuggets before dropping 2 straight to both the Lakers and the Warriors. As it sits the Wizards are currently in second place in the Eastern conference in this very young seasons. 5 games is a small but decent sample size to judge how this team is matching up against the rest of the NBA. Four quick thoughts on this very young NBA season as it pertains to the Washington Wizards. The starting 5 are good, as good or maybe even better than any starting 5 in the NBA. The key to this offseason was the Wizards maintained a level of consistency. Of course a majority of the bench are new but the starting 5 is in tact from the 49 win ’16-’17 season and the most significant bench player in Kelly Oubre is still with the team. There is a big asterisk next to this thought because we have yet to see Markeiff Morris on the court, however there is no reason to believe he won’t be as good or possibly better than last year. We have seen the starting 5 out play every team they have played this year and that includes the Warriors. Marcin Gortat, who was my biggest concern, is actually averaging slightly more points and rebounds per game than he was last year. Otto Porter is making over 55% of his field goal attempts, and John and Brad are playing like all stars, no doubt about it. John is averaging 22 points/game while Brad is averaging 20/game. If the NBA was only about the starting 5, I would crown the Wizards the NBA champs, however the NBA goes so much deeper than just the starting 5. Either way the starting 5 should be carrying this team deep into the playoffs. The bench is slightly improved but still needs work. Jodie Meeks is averaging 9.6 points/game but he’s doing so much more than just that. He is hitting his shots when called upon, and playing smart, sound, basketball. Mike Scott and Tim Frazier are playing sub par ball right now. Mike Scott has only racked up 35 points in a 103 minutes played, 18 boards, 3 assists and 1 steal. Anyone can see the Wizards absolutely need more from him. Tim is making a whopping 23% of his shots and averaging 4.6 assists/game. While there is some improvement in the bench, at least Tim Fraizer is able to bring the ball up court without getting pressured and turning the ball over like Trey Burke was doing last year, but Tim has to find a way to truly spell John Wall in crucial mid-game moments. On our weekly wizards podcast Joe has already been talking about bringing in mid-season trades, lobbying for Kenneth Faried. Suspensions are likely. In an all out skirmish Bradley Beal looked like he headlocked Draymond Green, when Green responded by tackling Brad off the court where it seemed like John Wall’s body guards stepped in to try and break up the fight. However the skirmish got worse, Kelly Oubre jumped in and looked like he tried to connect on anyone who was in the way, Morris and Carrick Felix left the bench to jump in on the skirmish. In the best possible outcome for the Wizards, Bradley Beal gets suspended for a game, while the others possibly get off. However it’s probably more likely that 4 Wizards get suspended for 1 game. Fair or not, we all know Draymond is a dirty player but the Wizards have to keep their composure. When asked about the incident Brad said “It’s unacceptable by me for sure. I’ve got to show better leadership and better control.” (Tweet from Candace Buckner of WaPo) The league should also suspend Omri Casspi for the kick to the groin of Otto Porter, I guess Draymond teaches that in practice. The Wizards still play down to their competition. If you don’t know what I am talking about then you clearly didn’t stay up until 1:20AM on Thursday morning to watch the Wizards drop the game to the Lakers. This has been a crutch for the Wizards as long as I can remember, they simply play down to the competition of teams they should be running out of the building. On the flip side of this they do play up to the upper echelon of the league, see Warriors game. LP and Joe recap the horrible Monday night loss and try to figure out what happened to all the Redskins wide receivers. LP is in semi-panic mode while Joe is in full-panic mode. The Redskins need to get healthy quick as they prepare to face the Cowboys next week in a near-must-win NFC East battle. 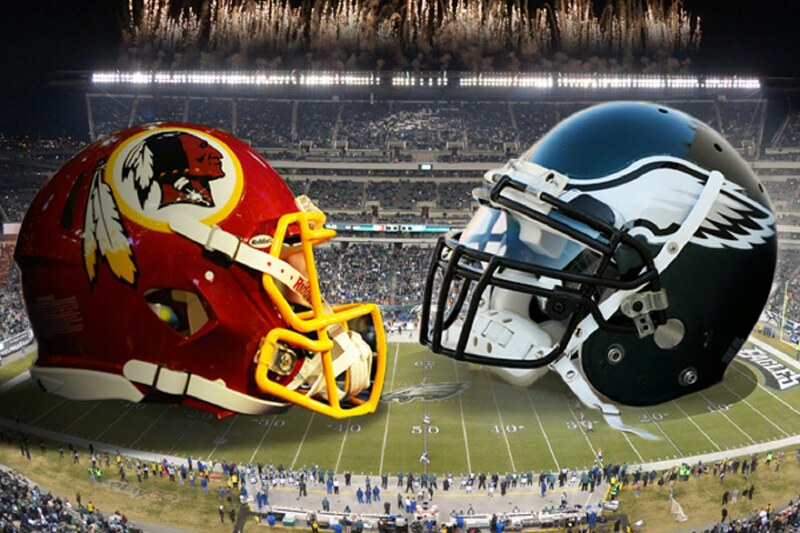 The Redskins head to Philadelphia on Monday night for a showdown to clarify the top ranks of the NFC East. The ‘skins lost to the Eagles in the season opener but Joe and LP are convinced the game should have ended differently. Stevie and FP are more focused on the task at hand and think the Redskins have a reasonable chance to go into Philadelphia and win. One thing is for sure, all four talking heads are finished with TP and this receiver group. They simply must play better. 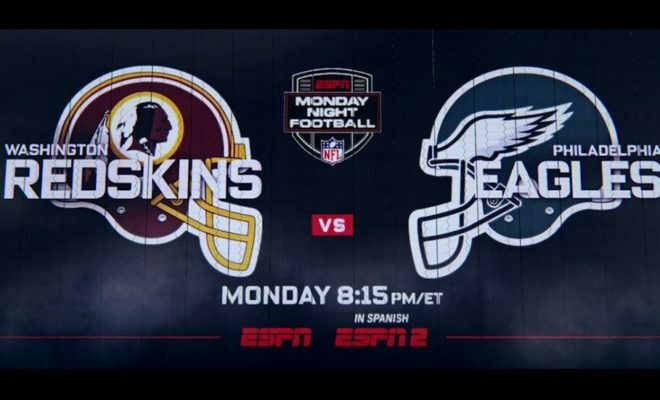 The Eagles can be beat and the Redskins are certainly good enough to do it. Will the Redskins primetime luck continue? LP, FP, and Joe think so (Joe’s taking the over too), while Stevie isn’t convinced. Who you got Monday Night?